All of our holiday decorations are packed away for another year, the house is getting back to “normal” and I am getting ready for spring cleaning. To make cleaning less of a chore and more convenient than ever is a helpful line of Rubbermaid® bathroom cleaning tools. Rubbermaid® has a cleaning tool for every situation including a Spraying Scrubber, Handheld 2-in-1 Scrubber, Extendable Scrubber, Flexible Scrub Brush and Switchable Pads. I normally dread cleaning our bathrooms but thanks to Rubbermaid® the chore is much less frustrating. The Spraying Scrubber (SRP $12.99) is very useful because I no longer have to switch between spraying a cleaner and then scrubbing. 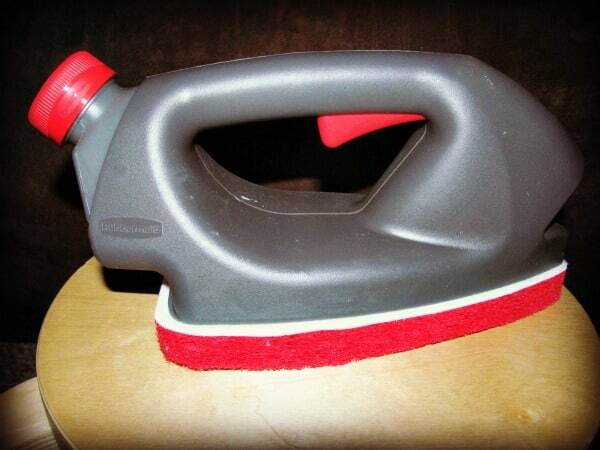 This cleaning tool has a tank that holds up to 4 ounces of cleaner and I can spray and scrub at the same time saving me valuable time on cleaning chores. This product worked very well for me over several cleanings and never clogged once! 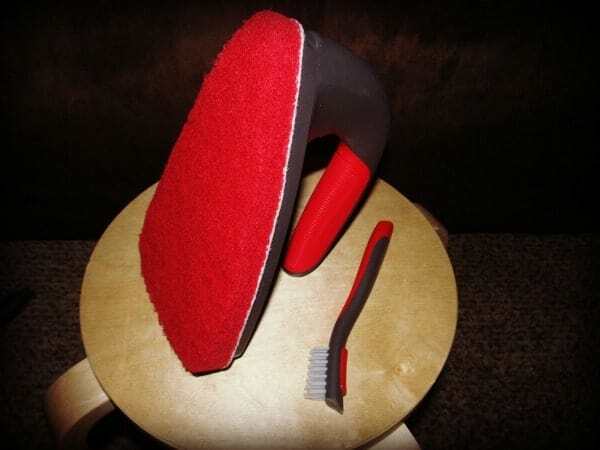 The Handheld 2-in-1 Scrubber ($9.99) and Flexible Scrub Brush ($9.99) are also excellent cleaning tools. I especially like that the Flexible Scrub Brush gets into all of those hard to reach areas such as the grooves in the bathtub near the faucet and soap dish and also around the contours of the sink. My favorite bathroom cleaning tool from Rubbermaid® is the Extendable Scrubber (SRP $14.99) it can manage those tough jobs in higher areas without having to lug in our ladder. The pole will extend easily from 24-40 inches in length and I can even detach the head in a simple move in order to use it to finish the areas within reach. There are several different inter-changeable pads (SRP $4.99) which can be switched out depending on the cleaning need i.e. there is a scouring pad, sponge, bristle brush and disposable pads. While I will never “love” cleaning our bathrooms, it is definitely a task made easier when I have my Rubbermaid® Bathroom Cleaning Tools ready to “help” me tackle the job. You can purchase your Rubbermaid® Bathroom Cleaning Tools at retailers throughout Canada including Walmart, Home Depot and other home hardware stores. The clean and dry plunger looks great! I would love to have the Reveal spray mop. I’d like to try out the Clean & Dry Plunger. I’d like a Microfiber Dust N Mop. I would love to have one of the Reveal Spray Mops! Would also love to have the Pot & Pan Brush. I’d try the Reveal Spray Mop. Visited the Rubbermaid website & another cleaning product I would love to have in my cleaning cabinet is their “Reveal Spray Mop Kit”. Thanks. I would love a new mop! I would like to have a Reveal Spray Mop. I’d love to try the fold down drawers- they look like they’d provide so much extra space! The Reveal MOP! I am tired of my swiffer. I could use a Flexible Sweeper! My house gets dusty between vacuuming sessions! I would like the Flexible Sweeper. 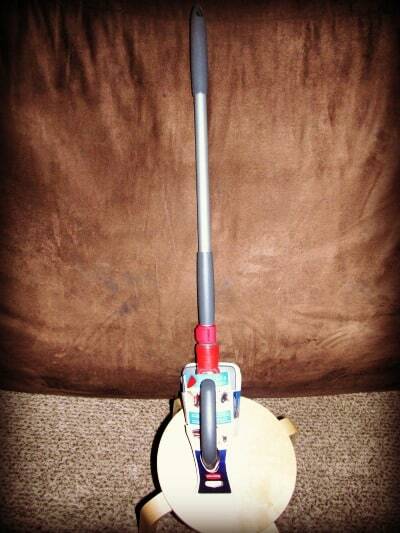 All purpose scrubber works great. the clean and dry plunger.